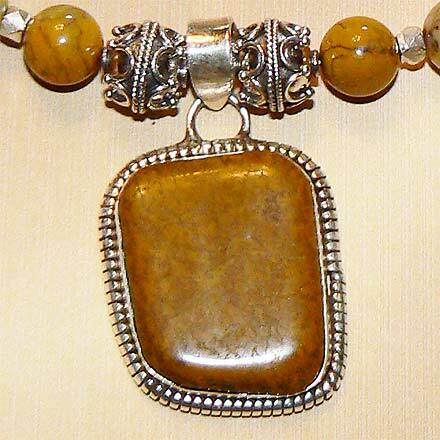 Sterling Silver Yellow Dendritic Agate Necklace. See Closeup. 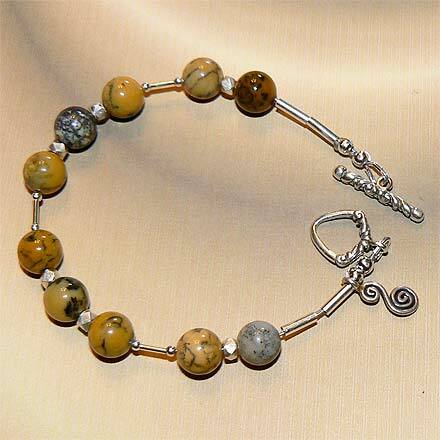 Sterling Silver Yellow Dendritic Agate Bracelet. 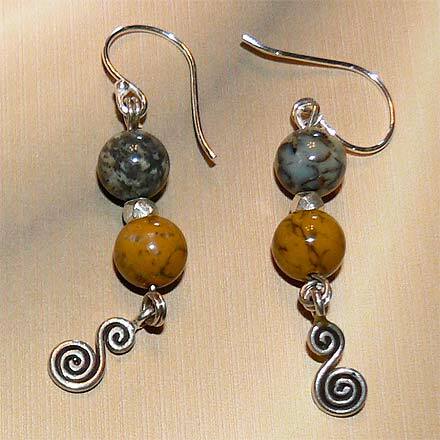 Sterling Silver Yellow Dendritic Agate Earrings. The pendant stone was just identified as "dendritic." 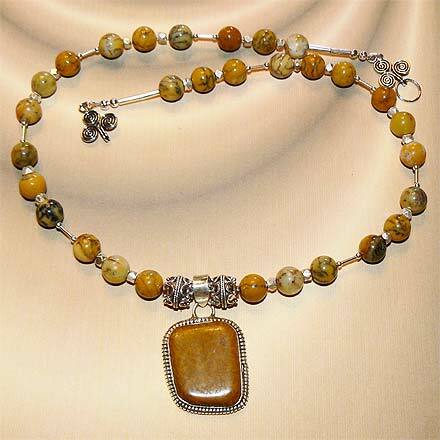 I don't know if it is technically an Agate or a Jasper, but the beads that make up this jewelry set are all Dendritic Agate. They have dendrites throughout, which look like little growing plant formations but are actually minerals.